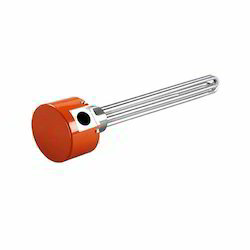 Exporter of a wide range of products which include immersion heaters for petroleum industry. Material Stainless steel ss304/316/321/Incoloy 800 etc. Empowered by the use of advanced technology, we are offering a broad assortment of Immersion Heaters for Petroleum Industry to local or domestic markets, across the country. These heaters are used for industrial applications. Our products can be availed in a variety of sizes, shapes, designs and other specifications. These products are widely appreciated in the industry for durability and other such salient attributes that stand our product far ahead in the competitive market.